He was a fan of another Fyodor—Fyodor Dostoevsky—and used his first name around the Internet early on. The name stuck, and now he’s known as Fyodor. 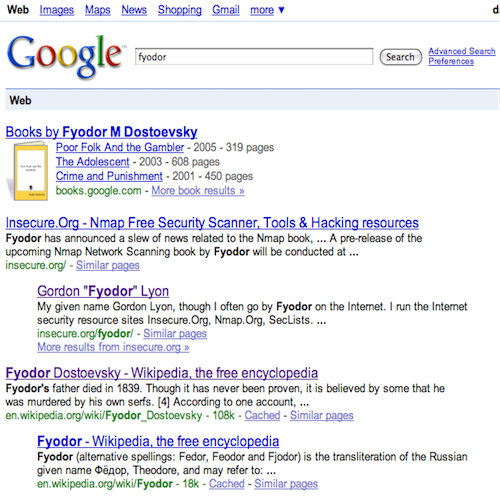 And Google confirms that he’s doing pretty well in the battle for the first name “fyodor”.